Israel Ortega Sánchez, M.D., Ph.D.
Home/Investigators and Research Centers/Investigators/Israel Ortega Sánchez, M.D., Ph.D.
Dr. Israel Ortega graduated from Complutense University School of Medicine in 2004 and received his Obstetrics and Gynecology Board certification from Autonoma University, Hospital La Paz in 2009. He is been working as a consultant in Reproductive Medicine at Instituto Valenciano de Infertilidad (IVI) since 2009. From 2010 to 2011 he studied at University of California, Davis (USA), under a Reproductive Endocrinology and Infertility Fellowship, receiving his PhD in 2014. Dr. Israel Ortega’s main interest is PCOS, publishing several articles and chapters in scientific journals on this subject. 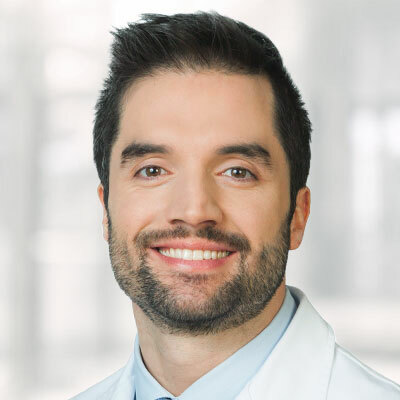 He has received Honors Degree in Medicine (Complutense University of Madrid) and the First Prize Poster Award of the American Society for Reproductive Medicine. Sigue habiendo indicaciones para el ciclo natural? Ann N Y Acad Sci, 2015. Comparison of effects of different statins on growth and steroidogenesis of rat ovarian theca-interstitial cells. Chapter 11, pp 181-203. Editor: Lubna Pal. Springer, 2014. Resveratrol potentiates the inhibition of simvastatin on rat ovarian theca-intertitial cell steroidogenesis. Effects of simvastatin on retinoic acid system in primary human endometrial stromal cells and in a chimeric model of human endometriosis. J Clin Endocrinol Metabol, 2013.